My klutzy ways are legendary and well documented by the perpetual bruises and scratches that cover my body. I don't know what it is but I just can't seem to keep out of harm's way. Door knobs, chairs, desks, curling irons and every other hard surface imaginable always manage to bump into me! Over the years, I've made peace with my clumsiness, relying on an arsenal of aloe vera, mederma, scar tissue pads, and facial rollers to minimize my battle wounds. 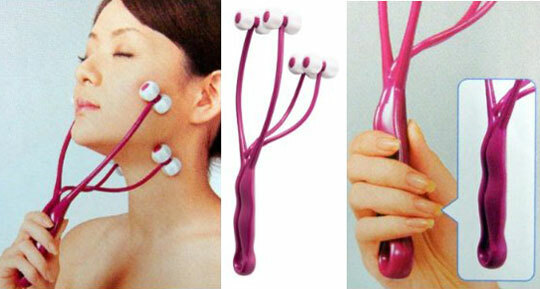 The facial rollers are used by Asian women obsessed with attaining a perfect V shaped face. They use the rollers to massage the sides of their cheeks, hoping to shrink fat cells and tighten the facial muscles. I'm not sure if the rollers are effective in V-shaping but they definitely help fade out my bruises! When my clumsiness began resulting in not just bodily damage, but also damage to my property, that's when I knew I had to do something about it. Therefore, another new year's resolution is to look where I walk and be a bit less ape-like and heavy-handed in my movements. So far, the property damage has been minimal and one in particular was actually made whole again by a little DIY project. I dropped my ZA Cosmetics powder a few week ago and it shattered into a million small particles. I was heartbroken as I bought it in Korea over the summer and it's a brand that's exclusively found and sold in Asia. Determined to save it, I did a quick google search and found an effective and easy way to repair the damage. Just add a few drops of rubbing alcohol to the compact and use a butter knife to smooth the powder back into shape, Dry before using. And just like that, the mineral particles coagulated re-formed! I'm off to figure out how to remove the scratches on my stainless steel microwave! ah that's so helpful! 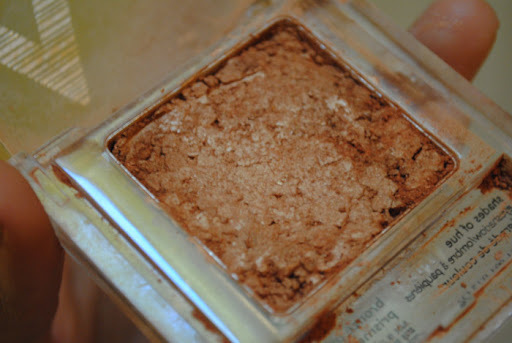 now i don't have to prematurely throw away all my broken powders..
Adorable blog! you are giving me some serious inspiration though! I hope that this is very good post indeed. I like your post very much. Your tips are very effective.